From 2016, after Huawei released the first multi-level intelligent control lighting Internet of Things solution at CeBIT 2016, the world’s largest ICT technology exhibition, Huawei began a strong explosion in the field of urban street lighting, from NB-IoT to the current hot wisdom pole. Huawei has become a leader in the industry. Through the intelligent Internet of Things, Huawei connects hundreds of millions of people, environmental sensors and street lamps. It is no longer limited to lighting control and energy saving, but becomes a carrier of smart cities and smart transportation. As a comprehensive business of Huawei, Smart Street Light has been highly valued in terms of strategy and product layout. In 2017, during the World Mobile Congress Shanghai, Huawei’s United Nations Semiconductor Lighting Engineering R&D and Industry Alliance, China Lighting Association and Changzhou City Lighting Management Office jointly released the “NB-IoT Intelligent Street Light Ecosphere”. Since the NB-IoT technology was frozen in 2016, Huawei and the lighting industry partners have carried out NB-IoT intelligent streetlight pilots in more than 10 cities across the country. NB-IoT technology has high security, high reliability and wide-area coverage. Features such as convenient networking well meet the needs of intelligent street lighting applications, and are a technology that is highly compatible with the application requirements of road lighting intelligent control systems. On October 10, 2017, the first NB-IoT intelligent lighting joint laboratory in the global lighting field was jointly organized by Changzhou People’s Government, Huawei Technologies Co., Ltd., Fuzhou Internet of Things Open Laboratory Co., Ltd. and Changzhou Semiconductor Lighting Application Technology Research Institute. The respective resources and advantages complement each other and form together. Under the framework of the National Key Laboratory of Semiconductor Lighting Joint Innovation, the Joint Lab will serve as a research and development platform for intelligent lighting, and further support the construction of national science and technology innovation bases such as the third-generation semiconductor national technology innovation center. During the 2018 Global Mobile Broadband Forum (MBBF), Huawei released the PoleStar2.0 smart stick solution. The program is positioned as a nerve ending in a smart city, capable of supporting a variety of services such as 5G mobile communication, smart lighting, intelligent monitoring, Internet of Things, Internet of Vehicles, smart environmental protection and urban information release. It supports long-term through open standardized physical interfaces. Functional evolution accelerates smart city and 5G network deployment. With the rapid development of global urban informatization, the demand for smart cities represented by smart municipalities, safe cities and intelligent transportation has promoted the rapid development of the smart rod industry. The traditional superposition mode of one business has brought about the problem of building a new pole in the street. How to improve the investment efficiency of the smart rod and reduce the difficulty of deploying the smart rod is the main challenge facing the industry. At the same time, 5G brings a new round of ICT development opportunities, but also brings operators the challenge of site deployment. How to obtain the site at low cost is also the main problem that smart city development will face. Faced with the dual challenges of low efficiency of smart city investment and difficult deployment of base stations, Huawei has launched PoleStar2.0 smart lever solution to support 5G mobile communication, smart lighting, intelligent monitoring, Internet of Things, smart environmental protection and urban information release. A variety of businesses that provide leading infrastructure solutions for smart cities. First of all, PoleStar 2.0 enables the local production and batch supply of the rods through an open rod design, reducing the cost of manufacturing and supplying the rods. Second, PoleStar 2.0 uses a standardized physical interface that allows the pole to have flexible business docking and expansion capabilities. The camera, sensor and other functional components are connected to the rod through a standard physical interface to realize the flexible function expansion of the smart rod and support the long-term evolution of the smart city. Thirdly, PoleStar2.0 supports the opening of business interfaces. Through the standard API interface, third-party applications can access the PoleStar2.0 cloud platform to provide commercial services and enhance the business performance of smart levers. For operators, PoleStar 2.0 reserves the standard interface for base stations. With the scale deployment of PoleStar2.0 in the smart bar retrofit project, the city smart bar has the ability to dock 5G base station units, provide massive sites for 5G, realize 5G on-demand rapid deployment, and greatly reduce operators’ cost of building stations. At the same time, through multi-party sharing, PoleStar2.0 deployment costs can be shared, achieving a win-win situation for operators, municipal departments, and smart service providers. On September 6, 2018, the “2018 National Smart Lighting Technology Seminar” was held in Nanchang City, Jiangxi Province. At the meeting, Huawei United Taihua Wisdom Industry Group Co., Ltd., China Telecom, and Yingtan City Administration released “NB” on the spot. -IoT Smart Lighting Solutions White Paper. This is the industry’s first systematic description of the technical data of the NB-IoT smart lighting industry. It is of great significance for telecom operators and urban street lighting management units to deploy NB-IoT smart lighting solutions, promote smart lighting and even the development of smart cities. The white paper comprehensively analyzes the pain points common in traditional smart lighting and the advantages of NB-IoT IoT smart lighting. It summarizes the application scheme of NB-IoT smart lighting meter from the aspects of cloud, tube and end synergy development, and looks forward to the development trend of smart lighting. In June 2018, under the guidance of the Shenzhen Municipal Government and the Economic and Trade Information Commission, the Shenzhen Smart Rod Industry Promotion Association was established and Huawei became the vice president unit. At the same time, Shenzhen City took the lead in issuing the “Three-Year Action Plan for Multi-functional Smart Rod Construction and Development”, which became the first top-level action plan issued by the government in China. The “Shenzhen New Smart City Construction Overall Plan” was issued to speed up the construction of multi-functional smart poles and form a shared, intensive and efficient urban material association perception system construction model to enhance public safety, urban management, road traffic, ecological environment and other fields. The level of intellisense. On June 7, 2018, Huawei Technologies Co., Ltd. participated in the preparation of the “GB/T 36333-2018 Smart City Top Design Guide” national standard, passed the National Standardization Administration Committee in the “National People’s Republic of China National Standards Announcement” (No. 9 of 2018) It was approved for publication and was officially implemented on January 1, 2019. All along, Huawei has assisted in the development of national standards from a practical perspective and actively carried out the top-level design of smart cities. The GB/T 36333-2018 Smart City Top Design Guide is one of the most important standards in the standard system. As the main editor of the National Standard for Smart City Top Design, Huawei actively carries out the top-level design of smart cities and actively assists in the formulation of national standards from the perspective of practice, including more than 60 in Beijing, Shanghai, Shenzhen, Nanchang, Lanzhou and Sanya. The city offers a smart city top floor design. The top-level design of smart city is a key link between the master plan of smart city and concrete construction plan. It has an important role of linking up and down, and is an important basis for guiding the construction of follow-up smart cities. 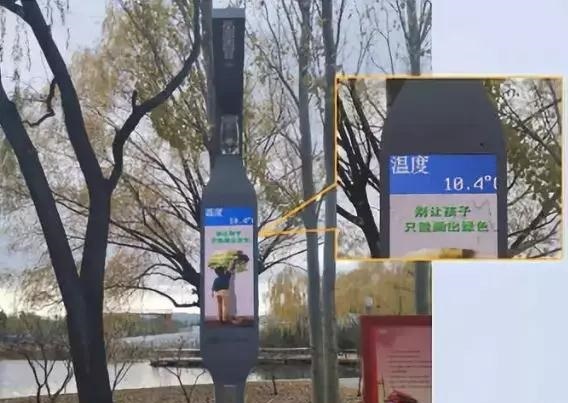 The wisdom pole (multi-function smart stick), as an important part of the smart city’s national strategy, is the main threshold for the city to move toward the process of intelligence, and it is also the lever of the times to incite smart cities. On March 14, 2019, under the high attention and strong support of the Guangdong Provincial Department of Industry and Information Technology, the Guangdong Provincial Department of Housing and Urban-Rural Development, and the Guangdong Provincial Communications Administration, the Guangdong Smart Rod Industry Alliance was established. Huawei Technologies Co., Ltd. actively cooperates and responds as the governing unit of the alliance. The alliance aims to promote the intelligence of information infrastructure: build a communication platform between the government departments and enterprises of the smart rod industry, jointly promote the construction of innovative smart city infrastructure; create an information infrastructure for the intelligent “hard connectivity” of facilities, and create a mechanism” Soft Unicom’s collaborative construction environment; formulate smart rod construction standards and form a win-win industrial synergy mechanism; fully assist cities, districts, and counties to create a smart city with a world of things and a beautiful and harmonious city environment, and help build “smart Guangdong, beautiful Guangdong” Finally, an industrial ecosystem integrating information infrastructure and urban landscape will be formed. Huawei has teamed up with streetlight partners such as Philips, China Micro-Optical Electronics, and Taihua Wisdom to deploy large-scale smart streetlights. Huawei has built a vertical management platform for smart street lights for Haidian Park, and unified access to intelligent streetlight management platforms, such as intelligent lighting systems, information release systems, environmental monitoring systems, video surveillance systems, emergency call systems and other systems. , a unified standard, using a unified perspective for intelligent management. Huawei Smart Park is also a lighting project with the concept of energy-saving lighting. The entire planning area is built with LED street lights, which realizes intelligent dimming, unified management and energy-saving lighting of street lamps, saving money for lighting construction in the entire planning area. At the same time, Wisdom Park has a 360° camera with no dead angle camera. The camera collects the running conditions of the park road through the camera. The centralized controller collects the running status of all the intelligent street lights. It is transmitted to the monitoring center through the intelligent street lamp network platform as the park management party. The data source of park management is the foundation of smart park construction. 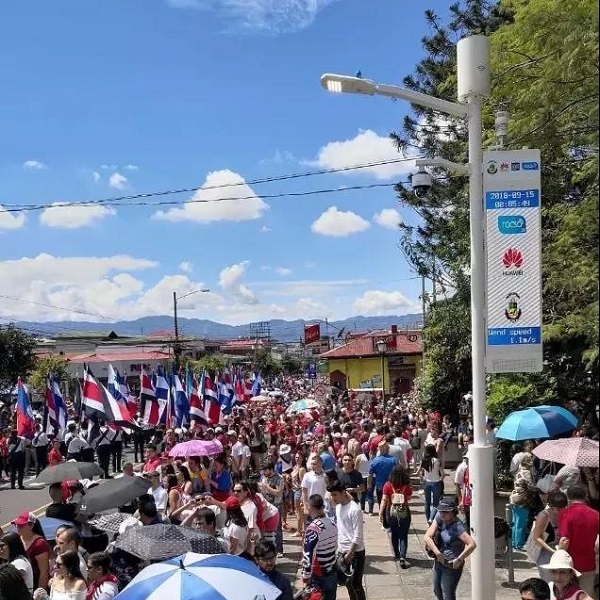 Coordinated by local operators and Huawei, Costa Rica began deploying multi-function smart light poles that support intelligent street lights, video surveillance, electronic information screens, public WiFi, and emergency calls. This kind of rod can replace the functions of various rods with one rod. Once construction, there will be no repeated long-term construction on the street. At the same time, this pole can also provide base station and public wifi functions. In addition, the multi-function pole has video surveillance and emergency call functions, which directly connect to the police station, making tourists more convenient and assured. As can be seen from the above, Huawei has gradually built up a huge global industrial ecosystem. By expanding the scale of its partners, it actively cooperates with industry standards organizations to guide the development direction of the entire industry. Huawei has extensive experience in compiling national smart city standards, developing multi-project national smart city standards, and advancing standards in smart city construction through project practice, and standard interpretation, verification, promotion, implementation, training and promotion. In the future, Huawei will remain an important contributor and practitioner in the process of promoting the standard setting and construction planning of smart street lamps.